At CleverstiX.com we’ve often received messages, reviews and feedback regarding the impact of our Child Development Cutlery from both users and experts alike that continue to amaze us. 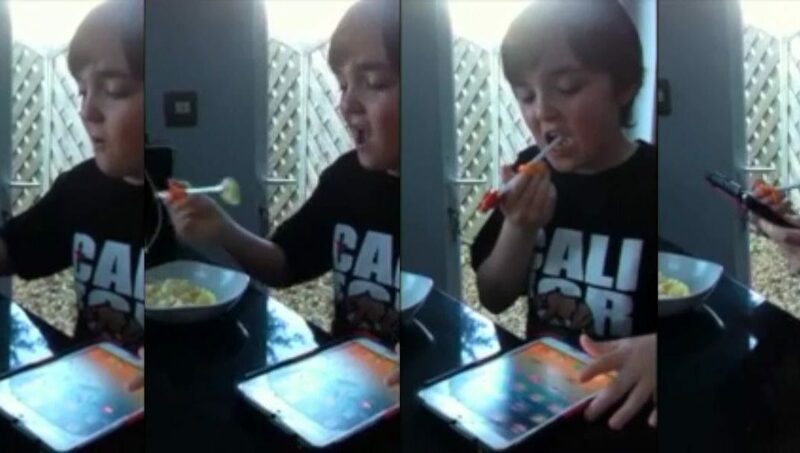 “..here you can see Mark, who normally uses his fingers for things like pasta shells when at home, using his CleverstiX very comfortably, and without any thought, as he concentrates on his iPad. This is a massive thing for us. Mark (11) is severely Autistic and not very dextrous. He normally resists any attempt by us to get him to use forks or spoons. I’m so happy with his progress and I’m extremely impressed by the value of CleverstiX. It’s only a short clip (and in portrait) because my daughter filmed it using her phone. You can’t imagine how good this makes me feel. They have helped us big time. We are overjoyed. Pat kindly gave us permission to share the video via Social Media.